ELGIN- The Illinois General Assembly will soon have a new tool to help encourage female, veteran and minority businesses to relocate to Illinois, thanks to Senator Cristina Castro (D-Elgin). Castro’s measure, Senate Bill 1567, which requires each EDGE credit claimant to submit to the Department of Commerce and Economic Opportunity an annual report containing supplier diversity information, was signed into law today. The EDGE program provides special tax incentives to encourage companies to locate or expand its operations in Illinois when there is active consideration of a competing location in another state. The program allows companies to reduce the costs of doing business in Illinois when compared with similar costs in other states where operations could have been located. Senate Bill 1567 passed the Senate and House with bipartisan support. The new law goes into effect immediately. ELGIN- Active duty military members will now be able to cancel internet and television services with greater ease, thanks to Elgin Democratic State Senator Cristina Castro. House Bill 2449 was signed into law today. 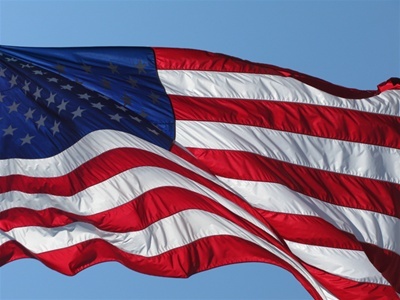 This measure allows any service member who receives orders to relocate for a period of service of at least 90 days to terminate or suspend contracts for internet services, television and cable services, athletic club or gym memberships and satellite radio services. “This one small update will eliminate unnecessary hurdles for our active duty military,” Castro said. The termination or suspension can be completed by delivering a written or electronic notice to the service provider and delivering a copy of the official military orders to the service provider that calls him or her to military service. House Bill 2449 passed the Senate and House with bipartisan support. ELGIN- The Illinois Environmental Council released their 2017 Environmental Scorecard today. 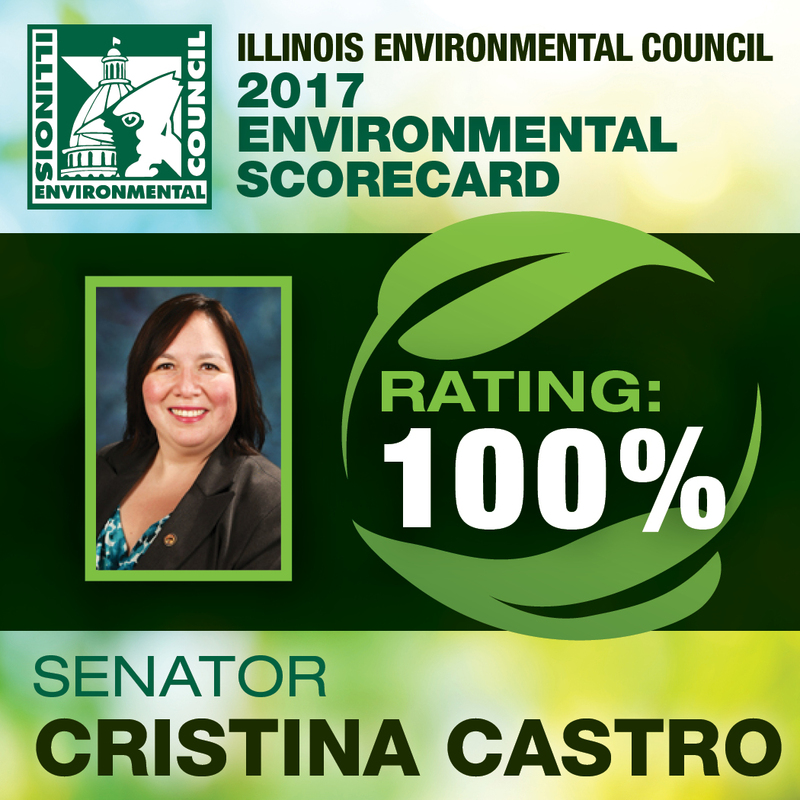 State Senator Cristina Castro joined a bipartisan group of 12 senators in recieving a 100% environmental rating from the Illinois Environmental Council. HB2831 allows local governments to create their own property-assessed clean energy programs and issue low interest bonds to finance clean energy projects. SB71 removes certification requirements for new, utility-scale wind projects, which makes it easier to build these projects under the Future Energy Jobs Act. SB 1029 promotes stewardship of Illinois’ natural resources by allowing Natural Areas Acquisition Funds to be used on stewardship activities in addition to land acquisition. HB3399 bans the hunting and trapping of bobcats in many parts of Illinois, and limits the number of bobcats that can be killed in the parts of the state where it’s allowed. SB1417 requires manufacturers to provide e-waste programs to transport and recycle residential electronic devices through a convenience-based standard. These programs are to start in 2019. SB1420 exempts non-profit organizations and government entities that collect cooking oil in collection drives from the public from registration, licensing, fee, and reporting requirements. AURORA – The city of Elgin will soon see a face lift and an influx of economic opportunity thanks to a new law signed today. State Senator Cristina Castro (D-Elgin) sponsored Senate Bill 1783 which extends the Illinois Historic Preservation Tax Credit Program to free up much-needed funding for the restoration of older buildings in downtown Elgin. According to the city of Elgin, about 100 buildings in the downtown Elgin area can now potentially be rehabilitated. The measure passed the Senate and House with bipartisan support. Senate Bill 1783 goes into effect immediately.